Prince Sultan Military Medical City is one of the largest hospitals in Saudi Arabia. The objective of the BPMS project was to deliver a highly intuitive mobile care system to enable quick diagnosis and advice during patients’ rounds, as well as improved patients’ security and registration processes. 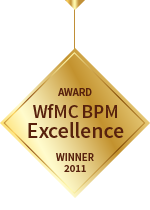 Capture feedback from all stakeholders from the very beginning of the BPM initiative. PSMMC took the forward-thinking view that care management should be the top priority of their BPM initiative. Working closely with Bizagi, its business leaders mapped user journeys to ensure all core hospital processes and workflows were optimized and accessible through mobile devices. Since implementation, PSMMC has become a clinician-led, patient-centric organization and set the standard for continuous improvement across the entire region.